Jin Huan milk oolong comes from Meishan township in Chiayi county. This tea is classic example of excellent milk oolong. The uniqueness of this tea is that it has acquired "milky" flavor is not due to a chemical but due to natural processes. This a spring milk oolong. The winter of this year was rather cold and with a lot of rains. Cold weather is good for tea grow and rains make tea leaves more rich. The spring oolong is very good in taste. Pleasing, smooth milk flavor with a buttery aftertaste. You can feel light rough, which mellows into a very nice, full sensation on the back of the tongue. Milk oolong Jin Xuan is a wonderful tea drink with a very mild and a delicate milky flavor. 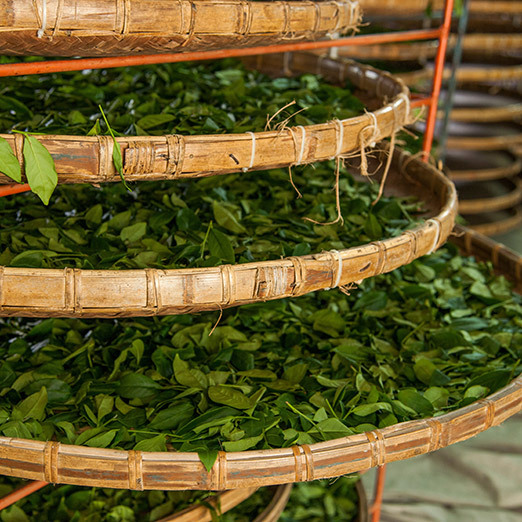 How is milk oolong made?